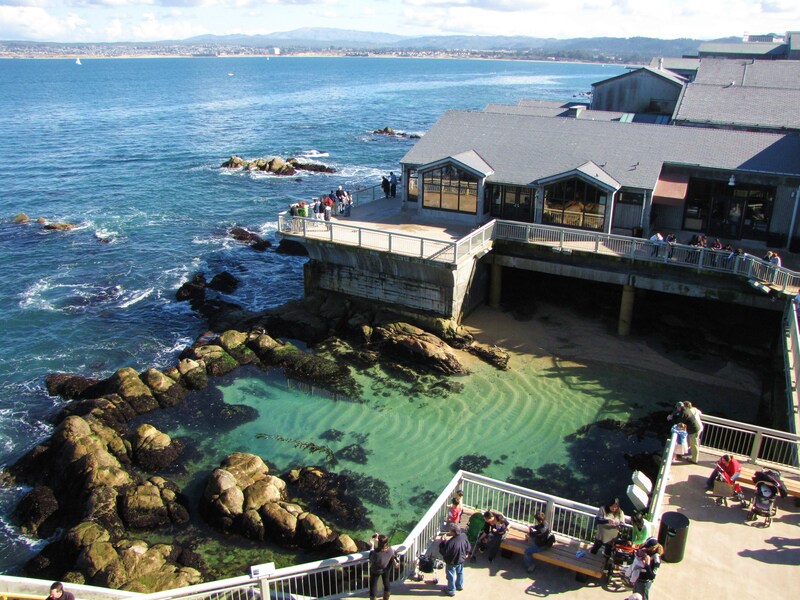 I went to college in Monterey Bay where I was lucky enough to volunteer at the Monterey Bay Aquarium. One of the most fascinating creatures that I feel in love with while volunteering, was the Mola Mola – also known as the Ocean Sunfish. This is one special animal. It’s not the most colorful, easy on the eyes, fast/quick, or appealing fish out there… but it definitely catches your eye. When I came face to face with this fish, I fell in love. I love the fact that this creature is so unique. Kids ran around the Aquarium screaming “Mom, where is the other half of that fish,” “Ewww that’s an ugly fish,” “WOW what is THAT thing?” – whilst I sat there staring at the huge tank in awe. When I could, I’d let the curious kids know how AWESOME Ocean Sunfish really are! Mola Mola’s are the largest and heaviest bony fish in the big blue sea – as well as the most parasitic. These animals can grow up to 5,000 lbs and grow up to 10 feet wide x 14 feet high. You will often spot Mola’s at the surface laying sideways inviting birds and smaller fish to pick parasites off its skin. Some have actually been seen breaching 10ft out of the water to try and rid themselves of parasites as well. Since Mola’s are clumsy slow swimmers, they then to feast upon creatures like jellyfish or zooplankton and algae (aka easy targets). They frequent the shores of Monterey quite often, but I haven’t been lucky enough to see one in the wild (don’t you worry it’s on my Bucket List!). The image above was taken at the Hopkins Marine Institute located right next to the Monterey Bay Aquarium, where I had a friend working for their Tuna Research and Conservation Center (TRCC). 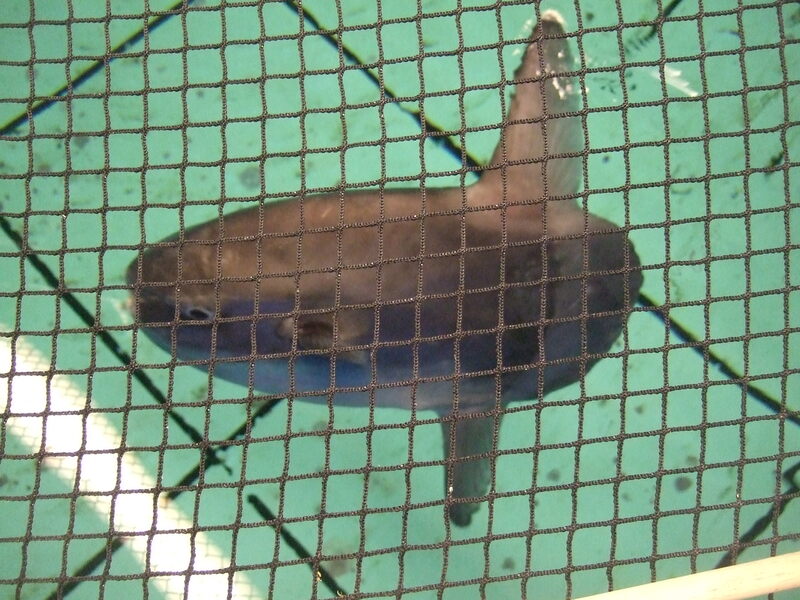 They often had a variety of different animals their holding tanks, and luckily I visited on a day when they were housing 2 baby Sunfish! They were so adorable, I couldn’t get enough of them 🙂 Although, my TRCC friend Luis couldn’t understand why I loved the little buggers so much – it’s ok Luis, I think tuna are cool too!